“Ribunduna’ is a word in the language of the Wiwa, Damana, which means “everything that lives and moves. One of the consequences of the armed conflict that has developed in the territories of the Wiwa people has resulted in the displacement and abandonment of places of great cultural value such as the Ceremonial Homes: Ungumas, for boys or men; and Ushuis, for girls or women. This, in turn, has caused the loss of the role of the ceremonial houses as a central piece of the culture. Currently several communities do not have such ceremonial centers which are required for strengthening cultural processes and governance. The main objective of the project is to build the main Ceremonial Home, to strengthen self-government with the ancestral principles, and to exercise the autonomous use, management and control of ancestral places in the territory of the Wiwa people. The Ceremonial Home will be located in the Rongoy community where Moisés Gil, the “Mamo Mayor” of the Wiwa people resides. 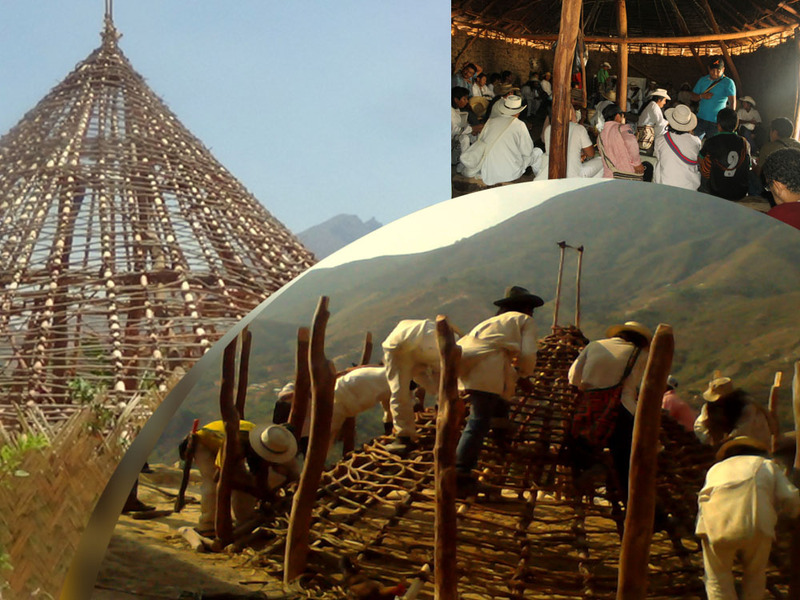 The “Mamo Mayor” is the spiritual authority responsible for the formation of new Mamos. He will be responsible for giving instructions to form community groups to collect the required materials and build the Ungumas and Ushius following the tradition.